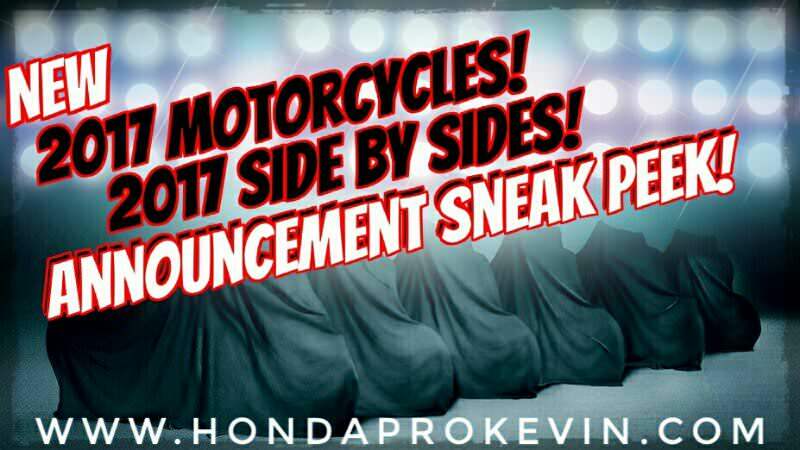 (2) New 2017 Honda Motorcycles & Side by Side Model Announcements… Everything you NEED to know! If you follow my blog you will remember my last couple of posts regarding updates to the 2017 motorcycle and side by side model lineup from Honda, at that time I mentioned we would be getting another model release / announcement in November of 2016. Well… It’s November! Just in case you’ve been sleeping for the last week and didn’t know we rolled into the next month I figured I would remind you. Please Click “Like” & Share if you enjoyed checking out any of my content. Thanks guys! First, we’ll start off with the EICMA Motorcycle Show. Honda will be releasing information regarding all-new 2017 motorcycles and their spec-sheets etc. When is this? November 7th is when Honda will let the cat out of the bag on new additions to the model lineup for 2017. I’ll be posting hourly updates on November 7th from the 2016 EICMA Show that you can check out here. Next, we’ve got an “official” 2017 model announcement from Honda coming on November 17th that should cover not only 2017 side by side models like the Pioneer 1000 but also some of Honda’s on-road motorcycle lineup. Check back here for an updated overview of all the new you NEED to know on Thursday, November 17th. I can’t say for sure but I anticipate this to include the 2017 Pioneer 1000 model announcement and we’ll find out if Honda is going to do any changes / upgrades on the 2017 Pioneer 1000 models versus the 2016 Pioneer 1000 models… That’s the only side by side models we haven’t already had released as Honda already let the cat out of the bag on the 2017 Pioneer 700 / Pioneer 700-4 & 2017 Pioneer 500 models that you can read more about here. What new and recent concept motorcycles would you like to see Honda announce that will be making the turn into a production bike for 2017? Anyone else hoping for a 2017 CRF300L? 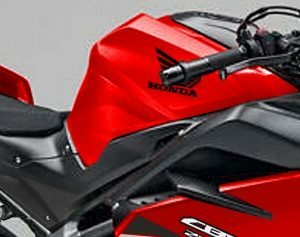 Information on the “base” model 2017 CBR1000RR and its changes and upgrades? 2017 CBR250RR coming to the USA? What news do you want to see Honda release when it comes to the 2017 models? Do you want to see some changes and upgrades to the 2017 Pioneer 1000? I’m not even going to say what you guys probably think I’m going to say next as I know you’re more than likely tired of hearing everyone talk about it… Well, scratch that! We’ve got to talk about it haha – Do you think Honda is ready to unleash their sport side by side plans for 2017 – 2018? Man oh man… I love this time of the year with all of the new model announcements and the fact that the whole PowerSports market is booming again like it used to be back in the day! Things got so stale when the manufacturers were afraid to spend $$ in R&D to release new models since people weren’t buying after the economy tanked. It got tiring year after year with no new models being announced and all we got year after year were BNG… Bold New Graphics lol! Long story short… I’m excited at what is to come over the next couple of weeks! Want the latest New 2017 Motorcycle & UTV / SxS model News before anyone else? Bookmark this page and follow me on Facebook, Twitter, Instagram and Google+ etc. Thanks as always for reading guys!